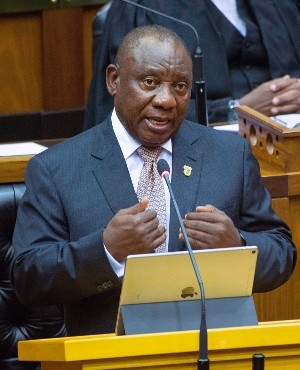 President Cyril Ramaphosa told Members of Parliament in a written reply to questions that his office had referred the latest version of the ministerial handbook to the Department of Public Service and Administration to align it with the macro-configuration of government. The reply touched on two major commitments Ramaphosa made during his first State of the Nation Address in 2018; namely to reconfigure the state for a smaller Cabinet and to amend the ministerial handbook so that the perks it affords ministers do not amount to excess or waste. Member of Parliament for the Democratic Alliance Désirée van der Walt asked Ramaphosa when he received the revised ministerial handbook, which sections of the handbook had been amended and when it would be made public. In his reply, Ramaphosa told Van der Walt that changes were made to the ministerial handbook where it related to the use of state vehicles, state residences and international travel for members of the state, as well as in the special provisions made for MPs with disabilities. "The proposed amendments to the Ministerial Handbook were submitted to the Presidency in June 2018. "The proposed amendments are, in the staffing for offices of ministers, deputy ministers, premiers and MECs; provisions for Members with special needs due to disability; the procurement of official vehicles and the use of hired vehicles; domestic and international travel; provision, maintenance and furnishing of official residences; and the period within which former members are required to vacate state owned residences and relinquish official motor vehicles," said Ramaphosa. Ramaphosa said the amended handbook was returned to the Department of Public Service and Adminstration "to ensure that it takes account of the work currently underway on the macro-configuration of government". "It is envisaged that cost savings will be achieved through the transversal contract administered by National Treasury in terms of vehicles purchased, reductions in the cost of flights and a reduction in administrative support and accommodation costs when Members travel abroad," said Ramaphosa.